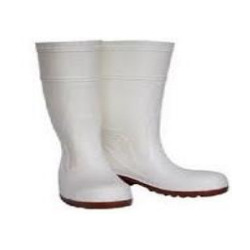 We hold expertise in manufacturing, supplying and exporting wide range of Safety Shoes. They are durable in nature and are extremely stylish. We deliver them in varied fittings. Industrial safety shoes conceal ISI steel toe cap with light weight, nonskid direct injection molded, Heat & Oil resistance P U sole ISI: 15298 any size 6, 7, 8, 9 & 10. Industrial safety shoes with conceal ISI steel toe cap with nonskid direct injection molded PVC Sole, upper Black leather, ISI Mark IS: 14544, with one year guarantee any size 6, 7, 8, 9 & 10. 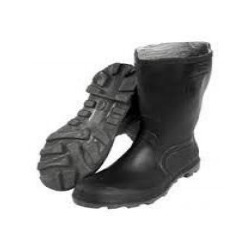 Gum boot half size 9" made of PVC Black color, Acid & Alkali resistance any size: 6, 7, 8, 9, 10, & 11. 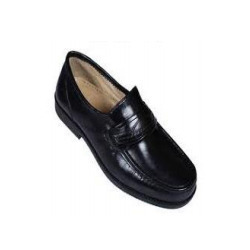 RUBBER SOLE USE IN SCHOOL ETC. 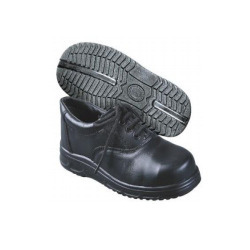 In order to cater diverse requirements of the clients, we offer wide range of Safety Shoes that are extremely comfortable in nature and are easy to wear. They can be carried in hilly terrains and helps in the complete movement of legs. We offer the entire product range in standard sizes and designs and can be customized as per the requirement. 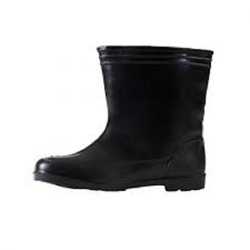 Gum Boot full Size 12" made of PVC Black color with inside lining. Acid & Alkali Resistance Any size: 6, 7, 8, 9, 10 & 11 with steel toe Cap. Quality being the ultimate aim, we offer wide range of Safety Footwear that are durable in nature and have smooth surface finishing. 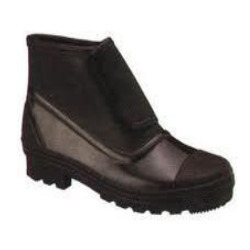 They ensure comfortable movement of feet and are delivered in standard sizes and dimensions. These products are skid-resistant in nature and are delivered in varied grades and dimensions. Moreover, we offer them at most affordable rates. 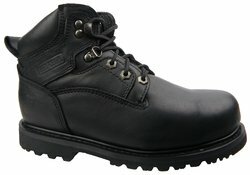 Industrial safety shoes, upper Black leather, any size 6, 7, 8, 9 & 10.